180 Coaching-Partnering with Your Potential! Laura S. Scott founded 180 Coaching with the desire to change the world–one person, one leader, at a time. Through her extensive experience as a coach and leadership trainer, Laura noted that her most successful client outcomes came when she partnered with a client, or a team, to imagine their highest potential or the ultimate gifts of success. Rather than focusing exclusively on behaviors, Laura focuses on the underlying beliefs, or thinking, that drive the behaviors and actions and works from that core; helping the client identify and address any blocks to achievement, and creating a customized ecosystem for growth, resiliency, self awareness and self mastery, using success metrics that are aligned with the client’s passions, values, and aspirations. Laura recognized early in her life that her values served as motivators, that she learned by doing, and she needed a good challenge to stay engaged. This knowledge and awareness gave her the confidence to launch the first of two fashion sales agencies at twenty two years old. Six years later, she changed careers and became a publishing entrepreneur, journalist, and editor. 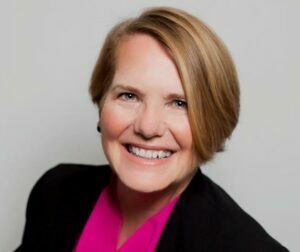 Her core values of achievement and continuous learning led her into the coaching and training field with an emphasis in the soft skills around leadership, communication and resiliency, informed by her research interests which include neuroscience, cognitive empathy, positive psychology, and the growth mindset. Laura is a PCC, Certified Professional Coach (CPC), Conversational Intelligence® Coach, an Energy Leadership™ Master Practitioner (ELI-MP), a DISC and Certified Professional Driving Forces Analyst. 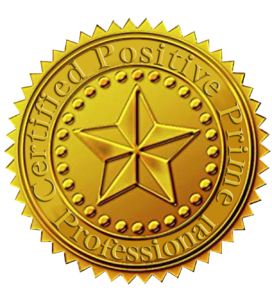 Laura is also certified by the Mediation Training Institute in Resolving Workplace Conflict, is accredited by Working with Resilience in The Resilience at Work® Toolkit and has been granted the Professional Certified Coach (PCC) credential by The International Coach Federation (ICF), an association of coaches around the world committed to the highest standards, ethics, and best practices in coaching. Laura is currently serves as Past President and Advisory Council member of the International Coaching Federation Central Florida Charter Chapter. Following her core values, passions, and expertise Laura enjoys a diverse and fulfilling coaching practice working with executives and management teams and entrepreneurs who want to be more strategic and intentional around how they lead and engage. Laura, and her professional coach and trainer associates, help 180 Coaching clients embrace success, change, and challenge and meet their goals through awareness, the power of choice, values-based decision-making, resiliency (brain-based mindfulness), intentional leadership, and empowering and engaging language. 180 Coaching offerings include one-on-one coaching, group coaching or retreats, and/or workshops and webinars using a wide variety of targeted tools and processes, including the Conflict Dynamics Profile™, Conversational Intelligence®, Resilience at Work®, TTI DISC/Driving Forces/Competencies assessments and the Energy Leadership™ Index assessment and programs. Contact Laura to schedule a goal clarification call to discuss how we can tailor the appropriate coaching or training for yourself, your team, or your organization. Laura is a regular contributor to EDGE Business Magazine and has been a featured guest on NBC’s Today Show, CNN, Fox News, Al Jazeera English, and on BBC, PBS, NPR, CTV and other radio shows, and has been quoted in TIME, More, Marie Claire, Details Magazine, Meredith Magazine, New York Post, FoxBusiness.com, and more. Laura balances a challenging work life with a multitude of creative endeavors and hobbies which include wine education, writing, golf, and travel. January 16, 2019 Presenting the “Neurological Impact of Stress and Conflict” at the Conflict Resolution and Mediation Conference in St. Petersburg, FL. January 23, 2019 Moderating the “Designing a Winning Company Culture” Panel at the Synapse Summit, Tampa, FL. February 8, 2019 Presenting “Beyond the Avatar: Strategies for Real World Engagement and Relationship Building” at StartUp Week Tampa Bay.